Lately we’ve had quite a few calls from potential buyers about how to improve their credit scores so they can obtain a mortgage at today’s low rates. They really want to get in before the rates go up. 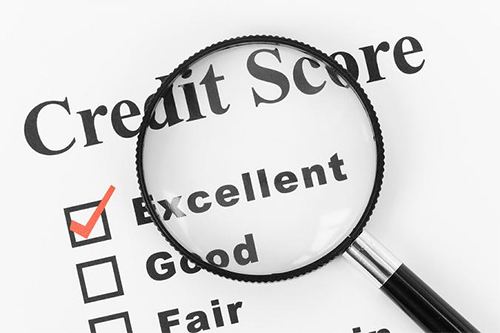 this week we’d like to provide some tips on improving credit scores to get mortgage. Last month we wrote about a way for buyers who can’t qualify today to pick out a home and work with an investor we know who buys the home and rents it to the buyer until they can qualify. Certain conditions apply such as income requirements, etc. But what about people that are renting and just want to buy? I ran across a blog recently with some good tips, and I’ll share a few of their tips here and a way to read the complete article if you’re interested. One way to establish good credit if your credit is horrible is to use a secured credit card. Basically you can put your own money into an account and borrow against that and then pay it off each month. This establishes a payment pattern on the record, which can help those with horrific credit. Check out First Progress Platinum Select MasterCard Secured Card. Another secured card that is highly recommended is Secured Visa from Merrick Bank. 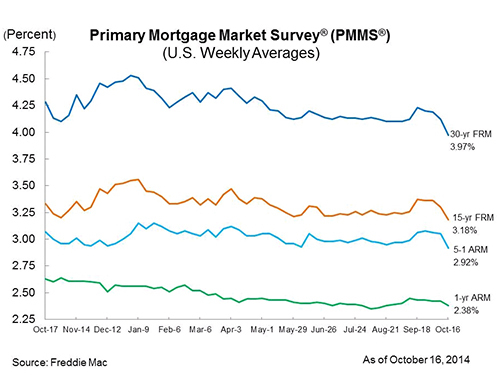 Keep in mind that on-time payments and credit utilization ratios are the biggest factors these days. Paying late hurts your score. It’s also better to have a few credit cards and spread out the credit amongst them than having one card all filled up. Each card has a utilization factor as well as the total of your debts. So if you’re maxed out on one card, that card is at 100% utilization which isn’t good. Be careful to watch your overall utilization as well. Don’t apply for too many cards in a sort period of time. This will ding your credit. Be careful not to close a bunch of accounts even if you owe nothing on them. This changes your utilization ratio, essentially raising it because you just cancelled a debt free credit source. Check your credit scores too. Credit Sesame was rated # 1 free credit score service followed by #2 Credit Karma. Keep in mind these free tools only check one credit bureau. You might try www.annualcreditreport.com as it will check all three. 26% of participants found credit errors that negatively impacted their credit, so it can pay to check. We will have some upcoming Home Buyer Seminars you can attend where we’ll explain the nuts and bolts of buying a home in SW Florida. We’ll have a lender on hand to answer some of your financial and mortgage questions as well. Check with us for upcoming dates as these seminars are always popular and fill up. If you’ve got questions now and don’t want to wait for an upcoming seminar, give our office a call. We can put you in touch with a lender now and get the process started for you. It’s never too early to start working on your credit. And don’t forget, if you’d like to search the MLS and get a feel for what’s on the market, go to www.Topagent.com and search for Free. 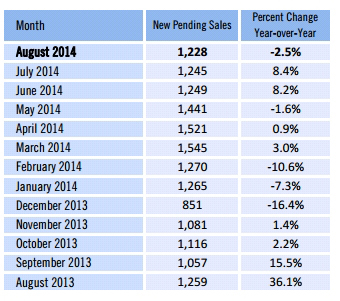 Nationally pending home sales pulled back slightly in August but are still in positive territory. The NAR (National Association of Realtors) Pending Home Sales Index stands at 104.7 which is down from 105.8 in July. Anything over 100 is considered positive territory. 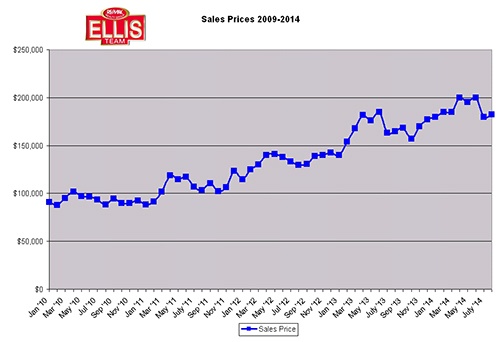 Locally we’re seeing new pending sales declining slightly as well. 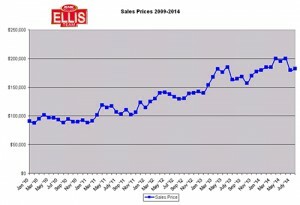 This very well could be because of declining inventory levels. Our market is still hot for the most part. 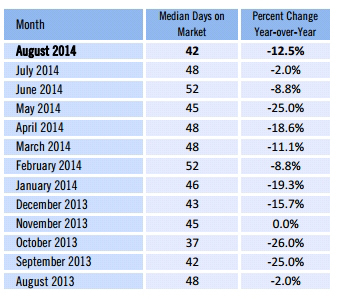 Inventory levels are down and median time on the market is also down 12.5% from last year. The 42 days on market includes high priced homes and short sales which tend to skew the number higher. If you have a home on the market longer than 42 days it could be that you’re not priced at the market. 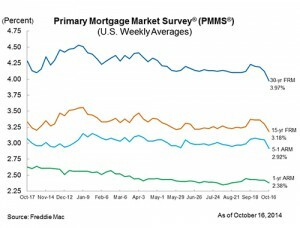 We are seeing some resistance in the first time home buyer market. Buyers are being stingier and writing low-ball offers at the lower end of the market. The ironic thing is this is the hottest part of the market in terms of marketing time. Lower priced homes fly off the shelves the quickest. The median time it takes to sell a $100-150k home is 27 days. For a $150-200k home it’s 34 days. We’re seeing buyers with pre-qualification letters for much higher than their offer but not all are stepping up to the plate. We don’t know if the buyers are fearful and being cautious or getting bad advice from their Realtor as to what the realistic chances are of getting the home. Most times they lose out on the home to another buyer. There is limited inventory in the market, so if you miss out on your 1st choice, you may slip down to getting your 2nd, 3rd, or 4th choice, and those choices don’t look as good as when you have more to choose from. Our buyer agents have been working very hard at identifying properties for buyers and notifying them as soon as one comes on the market. Sometimes beating out other buyers to hot new listings is a good way to get a new #1 choice, but it is risky as the next homes to come on the market could be at higher prices. Buyers aren’t really in competition with the sellers. They’re in competition with other buyers who are looking for the same thing. Beating them to the punch can be the difference, and having a Realtor with excellent technology systems in place can make the difference. 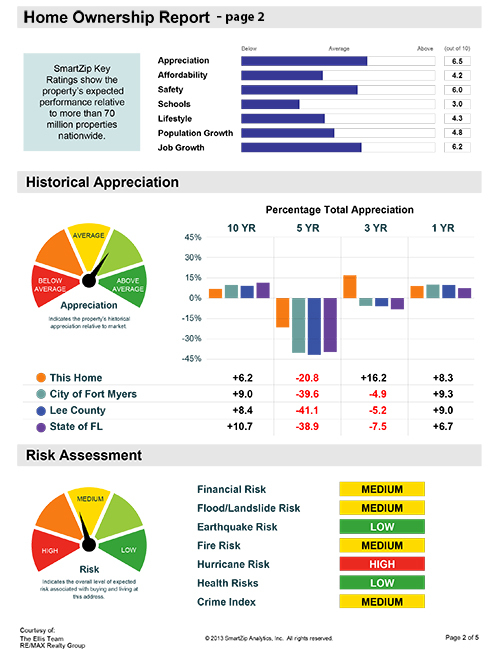 If you’re tired of losing out to other buyers and want a team working for you, give us at call at 239-489-4042. Or you can signup at www.Topagent.com and view properties in the MLS. Our agents have other systems and can contact you and be on the lookout for you and notify you immediately when something pops up that meets your needs. We also get our buyers pre-approved for a mortgage, so when that property does pop up, you’re ready to go. It’s frustrating to find a property then lose out to another buyer who was a day or two ahead of you with the pre-qualification process. Our team makes the process easy. Most people have fear about the process as much as anything. We’ll walk you through step by step so you always know what to expect. With some hard work on our end and a little luck, we’ll have you in your home before rates and prices go up anymore and price you out of the market. With the Ellis Team at RE/MAX, it’s a family affair. Always call the Ellis Team, we’ll handle you with care!